Establishing an effective safety culture means creating a shared set of values, beliefs, and norms around safety that management and workers alike can support and cultivate. That also means that establishing a culture of safety within any organization is a complex and difficult process. Once properly in place, however, it can be a powerful motivator that leads to big payoffs, a groundwork for further corporate culture, and an attitude rooted in long-term excellence. The growth of an effective safety culture is scientific, with stages and benchmarks for success. It occurs through the careful analysis of work objectives, accident reporting, and scientific process. In an age where competitive edge hinges on the pruning of internal procedure, we must use behaviour modification to bring everyone to a collective agreement on what safety looks like before we can expect an increase in efficiency. This process stems from the realignment of motivation. When safety programs wither, it is usually because the culture that currently exists aligns motivation with profit, not employee safety. To correctly realign employee motivation, managers must carefully select rewards and ensure they are built around scientifically selected objectives. With proper analysis, employee feedback, and communication, members at every level of the organization will start to propagate an attitude of safety excellence. As culture spreads, this becomes the prevalent way of thinking. In every organization, a culture already exists. Whether it is rooted in production, shared pastimes, or even negative behaviours like gossip, it is important to recognize and evaluate its source in order to alter its focus. The end goal is to guide the company by rooting new thought patterns and core philosophies in safety, and this requires research, analysis, and assessment. Are standards for injury and incident prevention being met? The decline of safety within an organization can be compared to an ecosystem losing balance—by the time numbers have visibly begun to shift, the cause of the problem already has a firm root. At this point, change is difficult. If incidents and injuries have begun to occur, poor attitudes and behaviour have already become commonplace. We must observe and analyze to determine what causes these poor attitudes and behaviours before we can begin weeding them out. Questions about where to begin or which safety measures to implement are difficult but necessary during assessment. Asking these questions forms a natural foundation for the growth of a system that encourages leadership and accountability. Although it may be tough to measure and locate, probing employee motivation and the causes of unsafe behaviour slowly reveals the groundwork necessary for incident reduction. Employee motivation and behaviour is important, but it’s just as important to evaluate management. What’s the real message behind company directives? Is it safety or production? Do behaviours or internal policies amongst management cultivate a “do as I say, not as I do” culture? Without proper research into current conditions, organizations can over-invest time and resources into the wrong sources of unsafe behaviour, causing more harm than good. When analyzing, ensure you go beyond end-of-process injury statistics and examine behavioural statistics like near-misses and meeting attendance. By gathering the opinions of employees, management creates a collective vision with clear objectives and a structure of positive reinforcement around work behaviours. This creates a positive feedback loop where employees see compensation and praise alongside behaviour-oriented guidelines, not statistical motivators. For example, this can be accomplished by tracking the use of PPE and rewarding those who use proper safety equipment, not those who manage to avoid injury regardless of its use. Another valuable tool at this stage is safety perception surveys. These create open dialogue between employees and management about what the workplace needs to improve safety conditions for everyone. 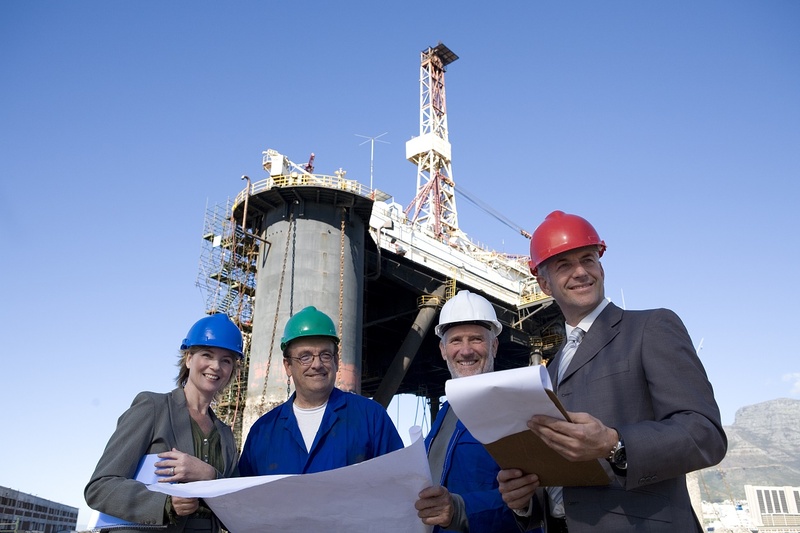 Safety systems are required to maintain and cultivate your safety culture. These depend on many different factors. Simple directives are not enough; safety systems require a complex interaction of programs, procedures, and attitudes. This process requires clear and consistent communication. Problems arise when organizations forget to be consistent in their communication to employees. For example, directives may clearly encourage employees to engage directly in safe behaviour, but if they are rewarded for high production statistics regardless of safety, employees wonder what the real priority is and the message loses credibility. When safety procedures are mandated and consistent, all proper equipment and training is available to help avoid injury, and a positive reward system exists to support safety guidelines and successful task completion, the pitfalls of traditional safety incentive programs are avoided. The goal is to maintain vision by eliminating internal inconsistencies. This, in turn, weeds out needless procedures that cloud the messages to employees. The system then begins to grow, actively look for behaviours that create unsafe situations, and emphasize the importance of safety. Instead of encouraging workers to report co-worker infractions, they are encouraged to maintain their own safety standards in competition with one another. Instead of suffering penalties for reported safety infractions, they are rewarded for reporting proper procedure. This creates a system of peer guidance and collective pride, like in a sports team, where members hold one another accountable for success not avoiding failure. Unable to stand independently, the pillars form a tripod of positive feedback that actively supports investment from staff as opposed to baiting employees with poorly conceived incentives or punishments. While it may require time, effort, and nurturing, once firmly rooted, an effective safety culture creates a deep foundation for improvements to every facet of a company, including production quality and social programs. The system, of its own accord, maintains higher levels of productivity that can carry on for decades, offering an affordable alternative to quick fix, numbers-oriented incentive programs, which are often ineffective in the long run.